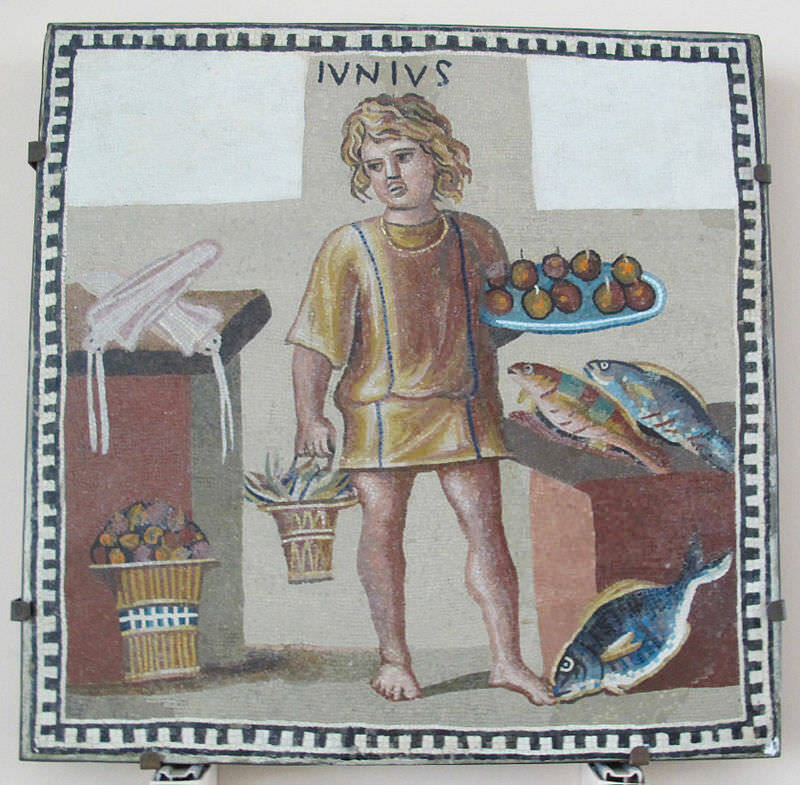 Have you ever wondered what the ancient Romans used to eat? If so, this article will give you some answers. In Rome cooking will accompany you in a short journey through the cuisine of centuries and centuries ago. The Romans used to eat 3 times a day: a quick breakfast, a light snack for lunch and a more consistent dinner starting between 3 and 5 PM that for rich families could even last up to 6-8 hours on special occasions. 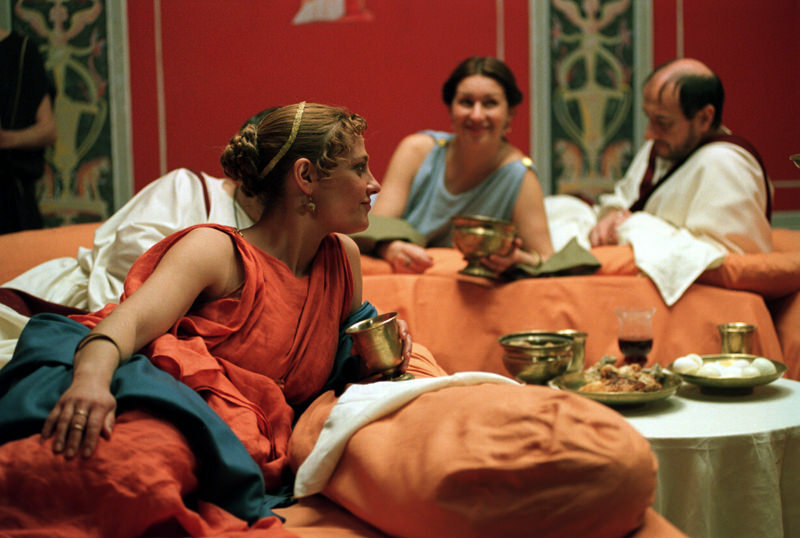 For lunch, the Ancient Romans used to go to the so-called “thermopolia” – some kind of fast food restaurants – because most houses did not have a kitchen at that time. These places were so common in the 1st century that only in the town of Pompeii, inhabited at that time by 15000 people, there were about 90 of them. The ancient Romans diet was mainly based on cereals, vegetables, legumes and cheese, while meat and fish were mainly consumed by rich people. Ancient Romans used to use a lot of spices, so their cuisine was very similar to the current Middle-Eastern and North African one. 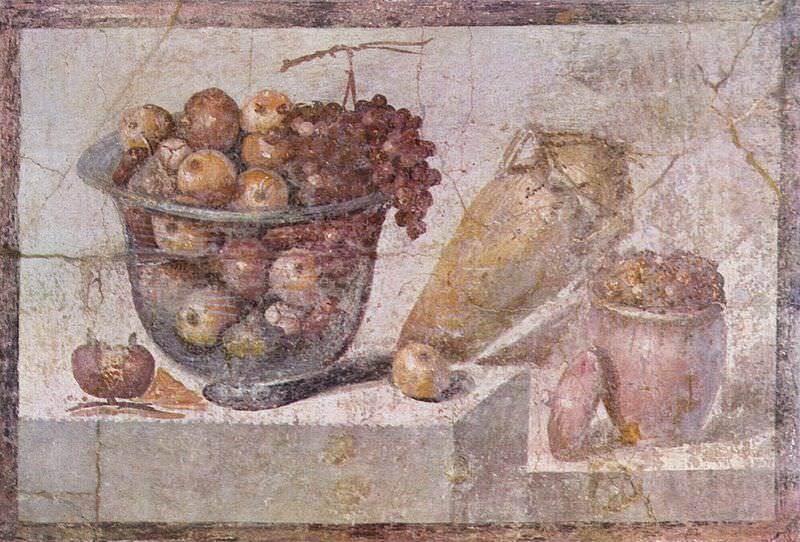 What kind of legumes, fruits and vegetables did the Ancient Roman used to eat? The most common vegetables in the ancient Rome were lettuce, cabbage and leek. The rich ones could also afford asparagus, mushrooms and artichokes, which are now so common in the modern Roman cuisine. In terms of legumes, they were very fond of broad beans, lentils and chickpeas. Talking about fruit, ancient Romans used to mainly eat apples, pears, plums, chestnuts, figs and grapes. Instead the citrus fruits only arrived in the 4th century AD. Among apples, the most popular one was the quince, especially for the jam that even at that time was made out of it. It’s interesting to know that the ancient Romans used to love apricots – for example, they used to add them to a common stewed pork dish - which were imported to Rome from Armenia. Did they use to eat bread? The Ancient Romans were big bread consumers, but not everybody could have the same bread. There was a black one which was affordable by the poor and a white luxury one called “panis candidus” – which means “candid bread” for the rich. From the 4th century BC they also started to eat the so called “puls”, a wheat mush. What kind of meat and fish? Actually only reach people could afford meat. Also, beef butchery was prohibited until the 2nd century BC as cows were needed in the fields. Ancient Romans mainly used to eat pork, which was usually first stewed and then roasted. In terms of fish, they mainly used to eat shellfish and morays. 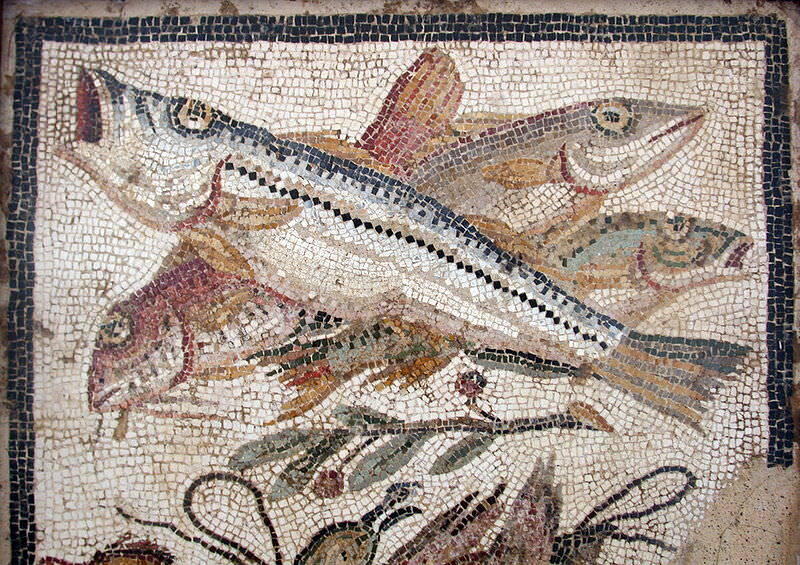 The most common seasoning was the “garum”, a spicy sauce made with fish entrails and fermented in direct sunlight. What did the ancient Romans use to drink? It was definitely common to drink wine all day long, for both poor and rich people, even slaves! However, it was absolutely prohibited for women. There were many different qualities of wine and most of them had quite a strong taste, reason why they were usually diluted with water and mixed with spices, culinary herbs or honey. The “Posca”, for example, was an economic drink made of water and sour wine, very popular amongst common people and legionnaires. How about the weird banquet dishes? In here we are going to mention only few of them, so you get the gist of how it was like to eat at a Roman banquet: dromedary feet, flamingos and parrots – slowly cooked and then roasted with dill, vinegar, flour, dates and spices – nightingales cooked with rose petals, saw breasts filled with sea urchins…and so on. Would you try any of these dishes?